← Dexteria Visual Motor Integration App – New! OT’s work in many different settings and the tools we use continue to be more mobile in nature. When speaking of use of mobile device use of OT’s, a poll in 2014 by AOTA¹ found more than half of the OT practitioners surveyed use mobile devices in the clinic. A year later, I would believe that percentage has increased, with dedicated mobile devices being used for documentation in many work environments. That said, availability of apps can be dependent on permission to download apps to work based mobile device, permission to use a personal mobile device such as a phone or familiarity with apps that might be available to support an OT’s caseload. A recent tech discussion with a fellow OT / AT specialist, spurred this post. Her experience in a rehab situation with a patient who was deaf / hard of hearing, causing a barrier to understand and be understood found her sharing mobile device apps. It made me aware of the power of a simple word processing app with text to speech on a mobile devices to aid communication with our clients/patients or even family members. Using a simple, free app with text to speech opened communication for this client. Although this client could spell (and yes he could handwrite given paper and pencil), there are many symbol based apps for individuals with literacy or language challenges that can aid communication. In this case, all that was needed was the ability to write to communicate using a mobile device and app provided an instant communication tool. 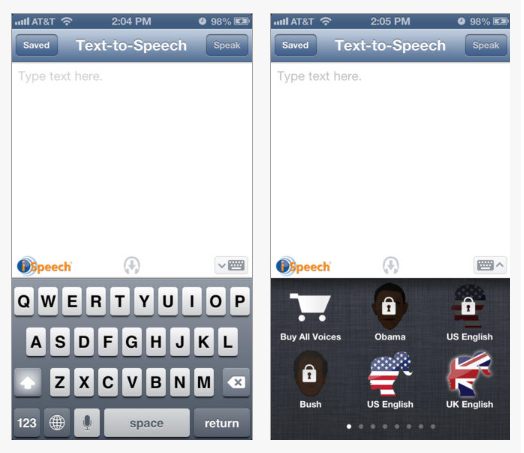 iSpeech app for iOS for iOS (free; iPhone/iPad) – Provides a simple word processing environment with “Speak” capabilities. Very simple and straight forward app. A save function for typed text is available. 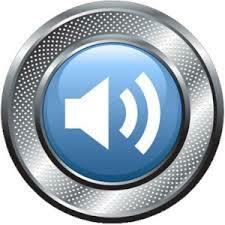 In app purchase of additional voices are available. Uses Internet connection for text to speech. 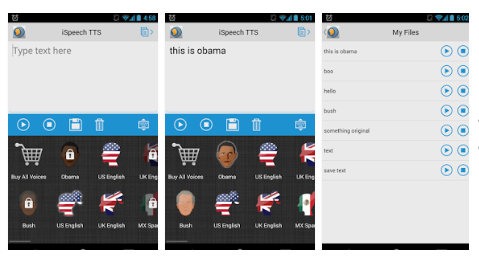 iSpeech for Android (free) – Same basic features as listed above. Aloud! 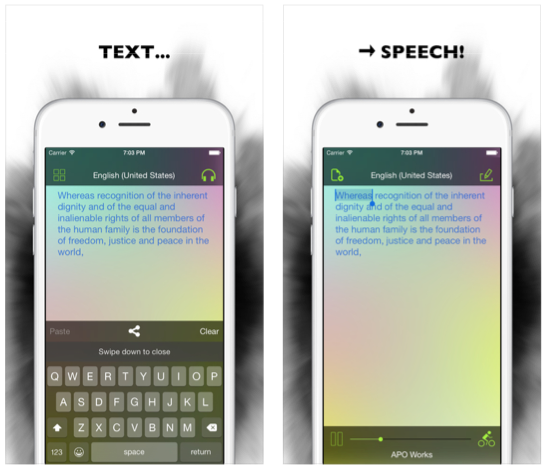 Text to Speech app iOS (free; iPhone/iPad) – Provides word processing app with text to speech capabilities. Also allows copying text/articles and saving for future reference. In app purchases for additional voices. Simple to use. 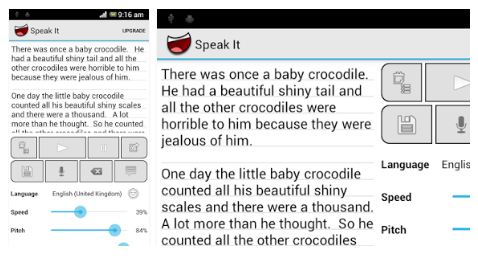 Speak it app for Android – (free) Provides basic word processing and text to speech with a simple user interface. A recent search for a basic TTS app for Android found this app, in my estimation, one of the most stable and easiest to use TTS app for Android. Certainly there are many more apps with TTS, free that are AAC communication apps. That list is long and worthy of another blog post or posts! What TTS app do you use for communication with your clients or patients? If you have a favorite, please share! More for your OT mTool Kit! ¹ Yamkovenko, Stephanie, retrieved Oct 11, 2015 from http://www.aota.org/practice/manage/apps.aspx . This entry was posted in Accessibility, Activities of Daily Living, Android, Apps for OT's, Apps for PT's, Apps for Special Needs, Assistive Technology, Augmentative Communication, Communicaton, iOS, iPad, iPhone, iPod, Occupational Therapy, Physical Disability Tool, Rehabilitation, Text to Speech, Writing and tagged Accessibility, Android, Communication, iPad, occupational therapy, OT Apps, Writing. Bookmark the permalink.